As soon as I saw these egg-shaped marshmallows at the store, I knew they would make a fun Easter treat to share at our family Easter egg hunts. 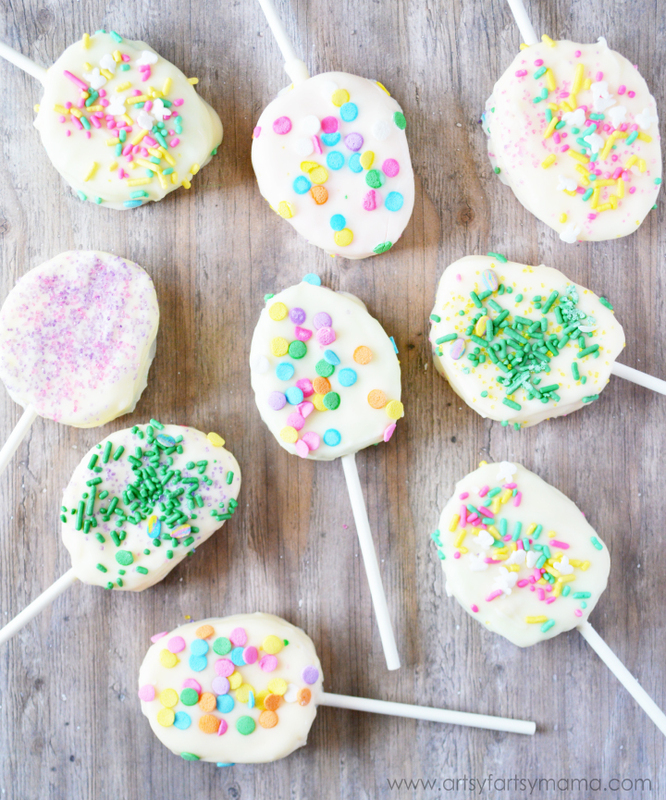 These Easter Egg Marshmallow Pops are super simple to make and the kids will love to help! 1. Line a sheet pan with foil or parchment paper. 2. 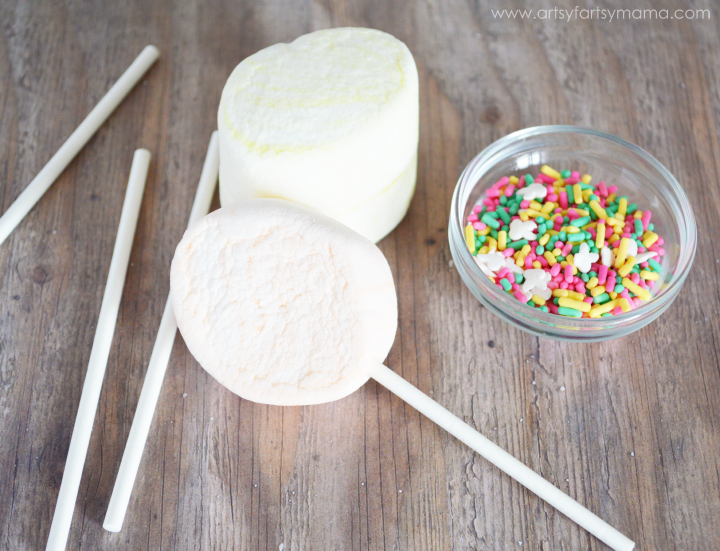 Poke a lollipop stick into the marshmallows. 3. Melt the Almond Bark (or chocolate) according to the directions on the package. 4. Dip the marshmallow into the melted chocolate or spoon the melted chocolate over the marshmallow until it's covered. 5. 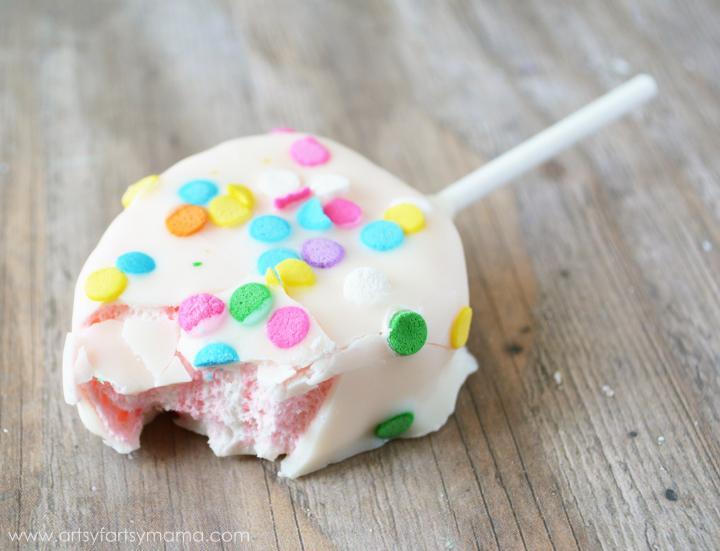 Lay the marshmallow on the pan and top with sprinkles. 6. Let cool in the refrigerator for at least 30 minutes or until the chocolate has set. These are so cute for Easter! I know my kids would love to help make them (and eat them)! I just love Easter Fun! These are beautiful & colorful, I can only imagine how delicious they must be. Thanks for posting.